A prototype spaceplane developed for the US military has been launched into orbit from Florida. 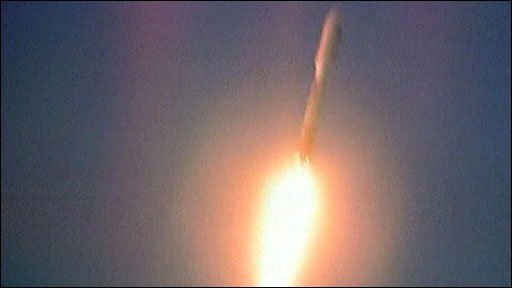 The X-37B, which has been likened to a scaled-down space shuttle, blasted off from Cape Canaveral Air Force Station at 1952 EDT (2352 GMT) on Thursday. The military vehicle is unpiloted and will carry out the first autonomous re-entry and landing in the history of the US space programme. The spacecraft can return experiments to Earth for inspection and analysis. At 9m (29ft) long and with a 4.5m (15ft) wingspan, the reusable spaceplane is about one-quarter the size of the shuttle, with a large engine mounted at the rear of the ship for orbit changing. And while the space shuttle uses a fuel-cell power-system, the military vehicle is powered by a solar array and lithium-ion batteries. The precise objectives and cost of the programme are secret, but the first few flights will allow officials to evaluate the vehicle's performance and ensure components and systems work the way they are supposed to. "The top priority technology demonstration on this first flight is the vehicle itself," Gary Payton, the US Air Force's deputy under secretary for space programs, told journalists on a teleconference this week. "Getting it into orbit, getting the payload bay doors open, the solar array deployed, learning about on-orbit attitude control and bringing it all back." 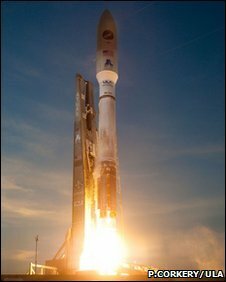 The X-37B was launched vertically atop an Atlas V rocket. The Air Force (USAF) says the vehicle will be used to test advanced guidance, navigation and control, thermal protection systems, avionics and high temperature structures and seals. The Pentagon has not specified a duration for this mission, but the X-37B is designed to operate on orbit for up to 270 days: "In all honesty, we don't know when it's coming back for sure. It depends on the progress that we make with the on-orbit experiments, the on-orbit demonstrations," said Mr Payton. Once the mission is complete, a command will be sent from the ground prompting the 5,000kg (11,000lb) spaceplane to fire its engine to re-enter the atmosphere. It will then autonomously navigate its way to the 4.5km (15,000ft) -long primary runway at Vandenberg Air Force Base in California. The X-37B started life in 1999 as a US space agency programme, but Nasa handed the project over to the Pentagon in September 2004. As such, the Air Force is in a position to talk openly about the craft's design, but its purpose remains classified. Dr Joan Johnson-Freese, chair of national security and decision making at the US Naval War College in Newport, Rhode Island, said the military would be waiting to see if this project yielded new capabilities: "It might be at this point in time that [the US Air Force is] going to roll the dice and see if something good happens. "If it does, they'll continue with it. Otherwise, this will be another one of those [experimental] projects that goes into a bin somewhere." The USAF has requisitioned a second experimental plane from the prime contractor Boeing; this is being targeted for launch sometime in 2011. Speculation about the craft's purpose has led to accusations that the project could move us a step closer to the weaponisation of space. Mr Payton responded: "I don't know how this could be called weaponisation of space. It's just an updated version of the space shuttle type of activities in space. We, the Air Force, have a suite of military missions in space and this new vehicle could potentially help us do those missions better." Dr Johnson-Freese said that one way in which the spaceplane could potentially be used was as a "manoeuvrable satellite". She said that conventional satellites were vulnerable to missile systems because they followed predictable paths in orbit and were relatively easy to spot. 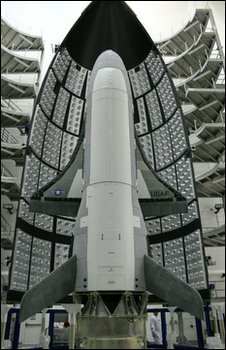 The X-37B might even be able to evade attempts to shoot it down with anti-satellite (A-sat) weapons, she said. And if enemy forces know when spy satellites are due to fly over their territory, they can limit sensitive activities to times when there are no passes by reconnaissance spacecraft. The X-37B could be deployed on a short timescale and could therefore spring a surprise. The programme is now led by the Air Force Rapid Capabilities Office (AFRCO). Edwards Air Force Base, also in California, has been designated as the vehicle's back-up landing facility. The Soviet Union carried out an autonomous re-entry and landing with its Buran space shuttle in 1988.